CALL TO ACTION "I BELIEVE"
I pledge to take a stand against unsafe water conditions. 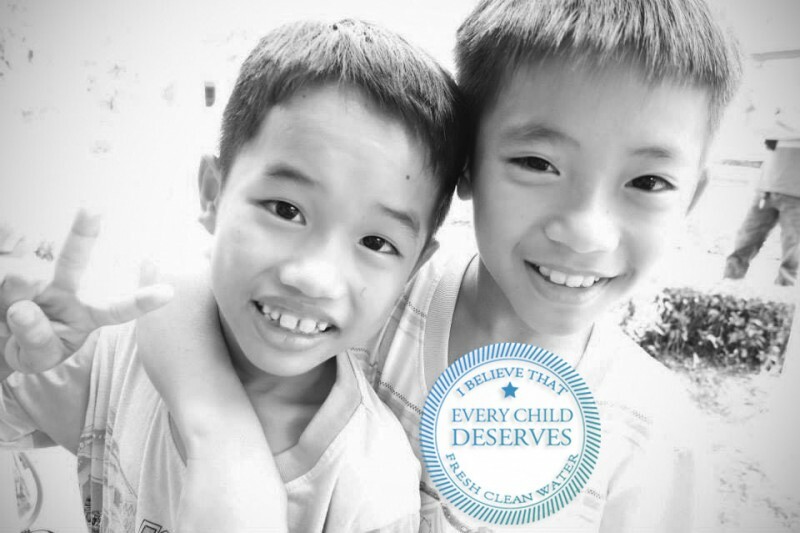 I will commit to do my part by creating a fundraising page and help raise money for clean, safe water for the children of Vietnam. Here’s how you can help; Click on the orange button on the right and create your own fundraising page. It’s simple and easy. Set your own goal and customize the look yourself! With the money raised, our foundations will be tuning the placement of water filters to several different families, 14 orphanages, and several villages to help prevent needless suffering and relieve life threatening conditions from contaminated water. 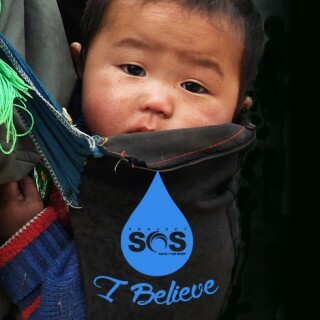 Please help provide fresh, clean water to the children of Vietnam. 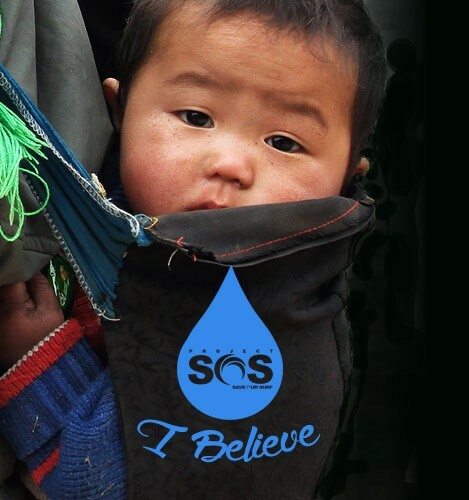 Project Save Our Surf (PSOS) has partnered with the Vietnamese Social and Labor Board and the SOS Children’s Villages to make a difference in children’s lives! 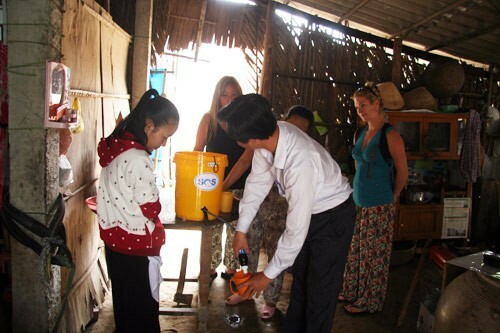 PSOS Vice President, Karon Pardue and PSOS Ambassador, Mary Osborne traveled to the Ben Tre orphanage and several villages to install water filters and bring relief to children, families, and the SOS Children’s Village Vietnam. This is a map of the fourteen orphanages and areas that PSOS will be providing fresh clean water to. 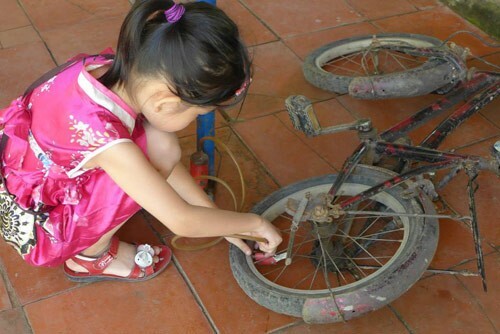 The SOS Children’s Villages Vietnam is a child development organization which supports orphan children. 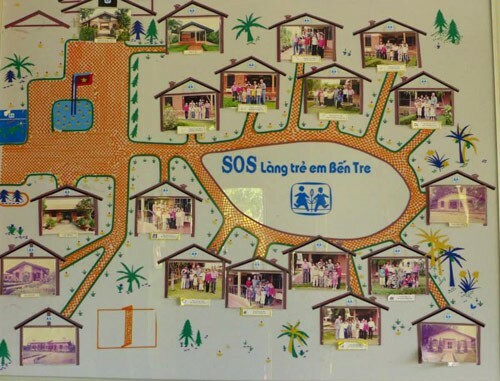 Presently, there are thirteen SOS Children’s Villages throughout Vietnam and one orphanage currently under construction, to be finished next year. 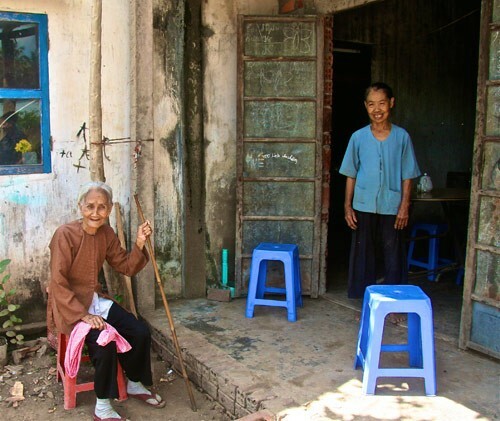 In each orphanage, there are 15-25 families’ houses. Each house can have up to 50 children and one mom. She is responsible for all the children in the house. They have taken care of more than 3,500 children at each orphanage. SOS Children’s Villages also supports children in poor households in the community. Because the orphanage can’t take in all of the children, they work side by side with the Social and Labor Board, an organization that gives each child an allowance each month and pays them to go to school. Depending on each child’s household situation, the allowance can range between $6 to $7 a month for food and supplies. 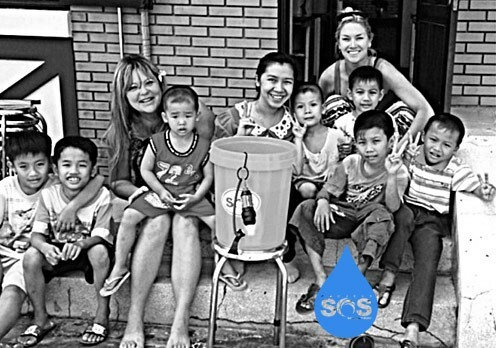 When our team was in Ben Tre, they traveled four hours from the SOS orphanage to provide water to the surrounding villages and families. Many of the villages could be reached by transportation and could only be reached on foot. 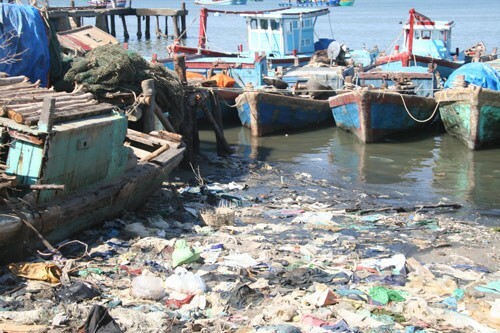 The Project Save Our Surf team was the first Americans to ever visit these villages. 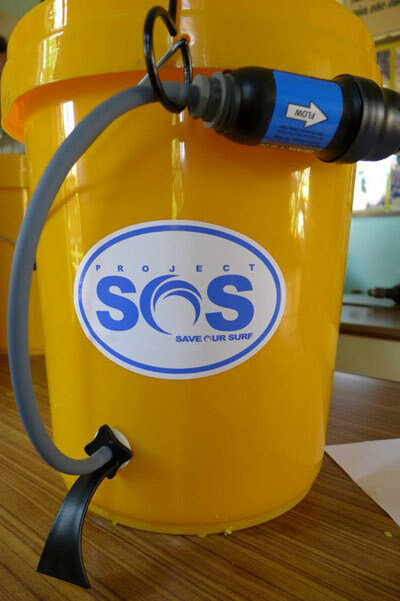 Most of the SOS facilities reuse water from local rivers and wells. Because the water is not always easily accessible, some of the families in the villages have to go get water. They often boil the water, to sanitize it but it is still not safe enough for cooking. This is one of the main reasons the villages are in desperate need for water filters. Did you know that every 21 seconds a child dies from a water related illness? 90% of the 30,000 deaths that occur every week from unsafe water and unhygienic living conditions are children under five years old. 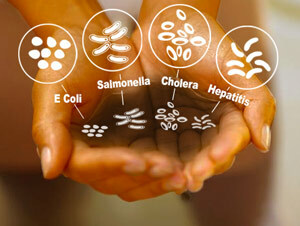 Diarrhea is the second leading cause of death among children under five years old. Nearly 1 in every 5 deaths are caused by diarrhea. It kills more than malaria, AIDS, and measles combined. The World Wide Heath Organization reports that over 3.6% of the global disease burden can be prevented by improving water supply, sanitation, and hygiene. The MPV water filtration system that PSOS will be installing, is the fastest, easiest, and most cost efficient way to get pure potable to communities in need. One filter provides fresh and clean water to 100 people daily. The lifetime of one filter will provide 1million gallons of fresh water. If the filter is maintained properly, it will sustain for many years. Donations are tax deductable. Alternatively checks can be sent to: The Rainbow Film Company at 1301 Montana Ave., Suite A, Santa Monica, CA 90403.